If you're a gadget-lover who carries around a tablet, smartphone and other tech toys, chances are you have complaints about battery life. 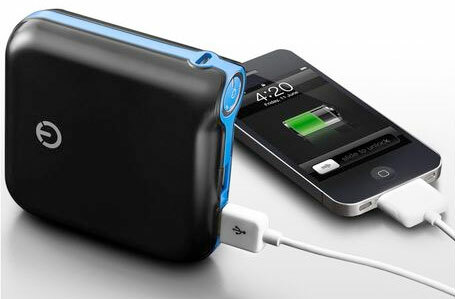 Fortunately, solving your battery woes is easy with the New Trent iCarrier portable battery. It would be hard to do better for an on-the-go charger than this powerful 12,000mAh battery pack. The iCarrier can charge two devices at one time and has the power to charge tablets as well as smartphones—a few times over. Best of all, the iCarrier is durable enough to stand up to being tossed into the bottom of a backpack or briefcase. With well over 1,000 5-star reviews on Amazon, we're confident this will be the best charger you've ever had. p.s. Makes a great gift, too!